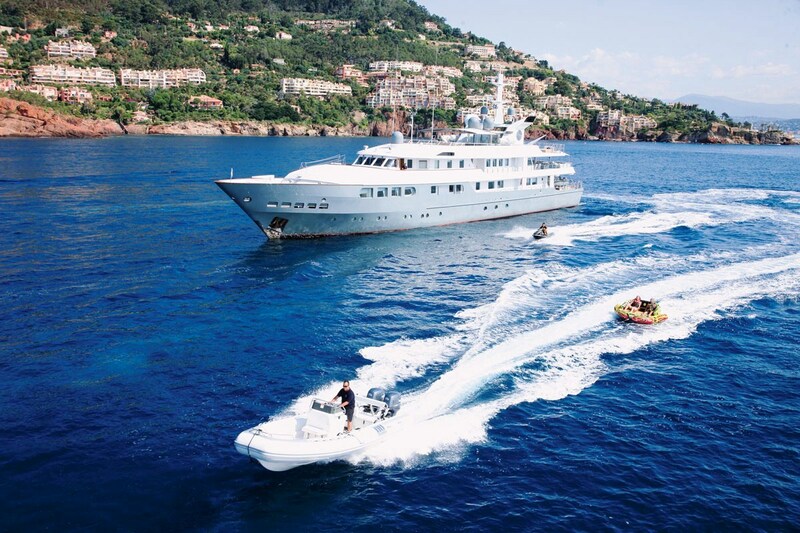 MAGNA GRECIA is a combination of elegance, simplicity and entertainment - all integrated into a large 63.80m (209' 4”) superyacht which can accommodate 12 guests in 6 comfortable cabins. 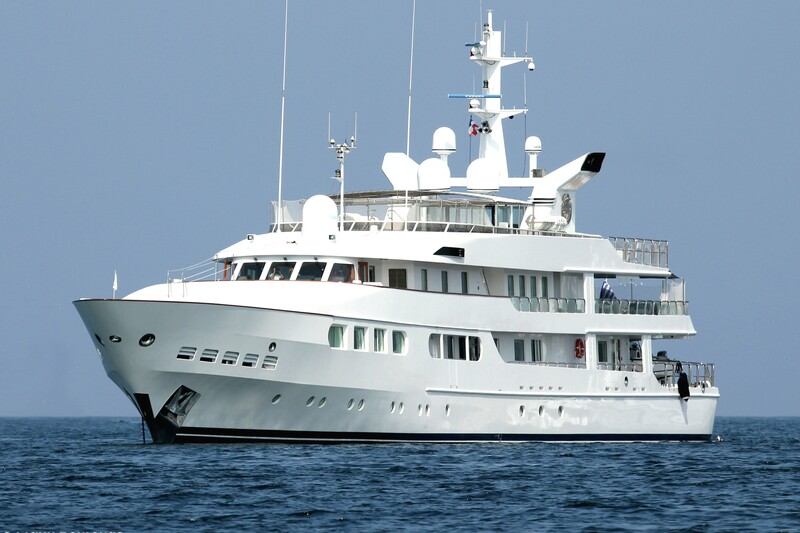 Her interior was designed by Terence Disdale and Donald Starkey, and her exterior styling was created by Sharp Design, Donald Starkey. 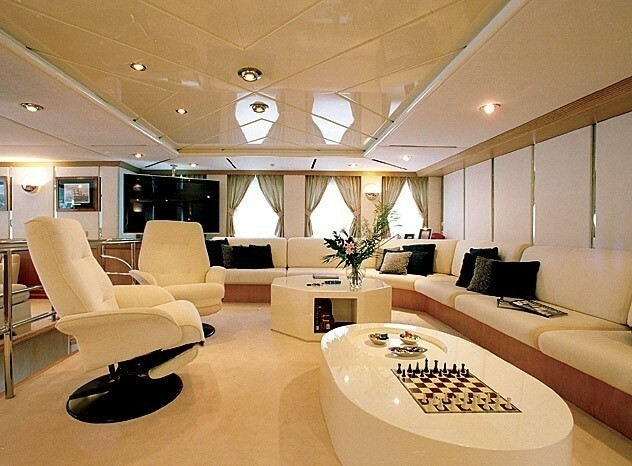 Her interior is bright, with nice comfortable sofas in the salon, coffee tables and neutral creme colours all around. 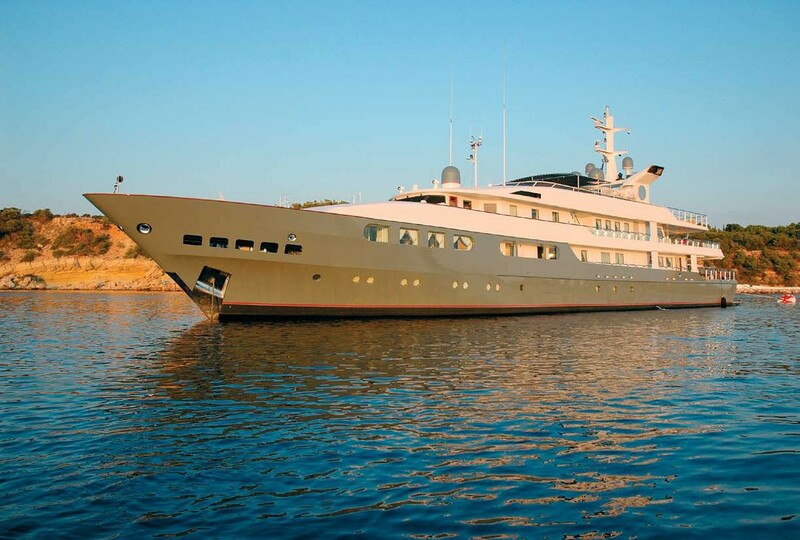 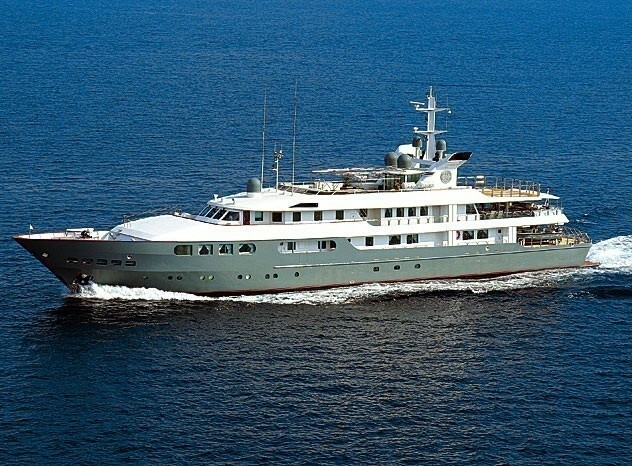 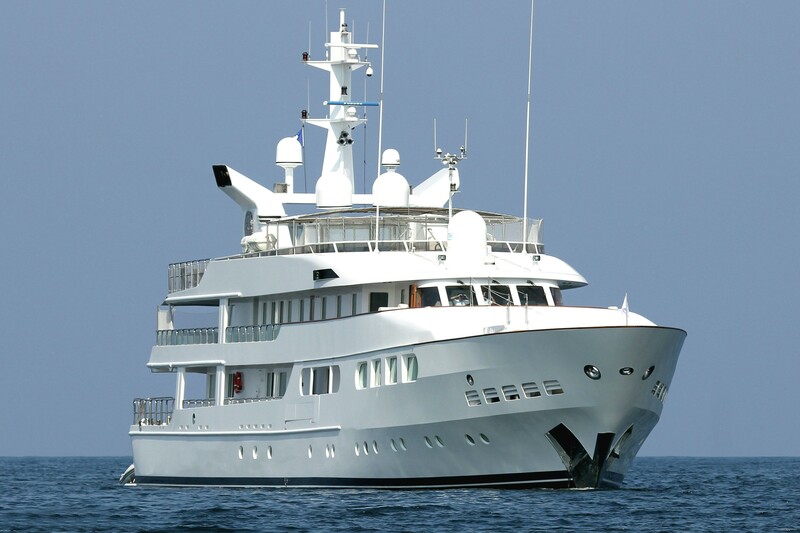 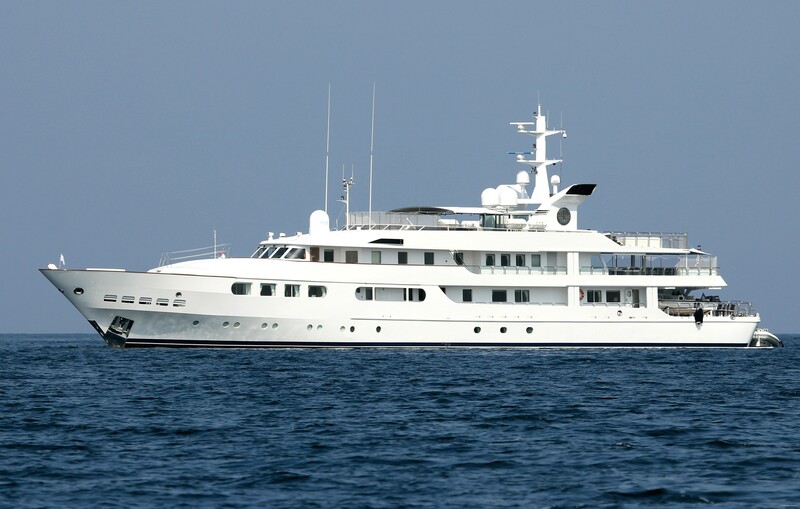 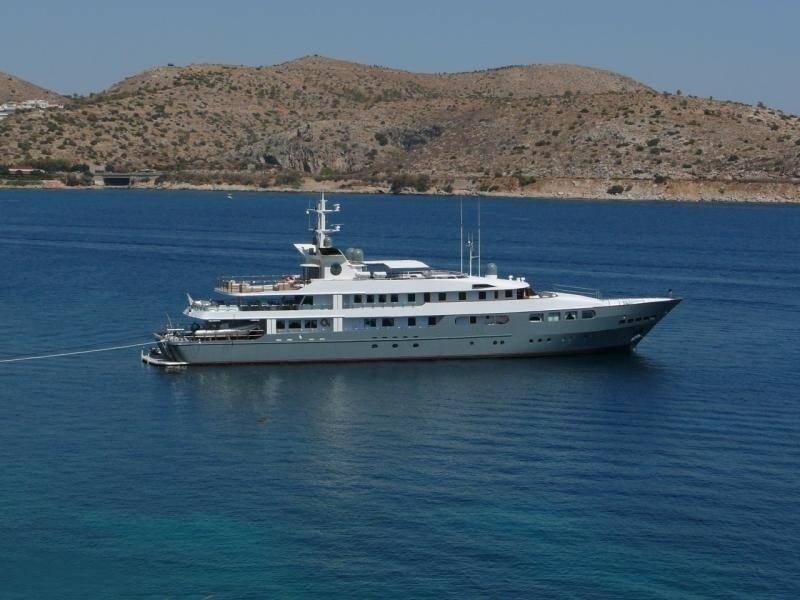 She was launched in 1986 with the latest refit carried out in 2019, however has been meticulously maintained and upgraded through the years. 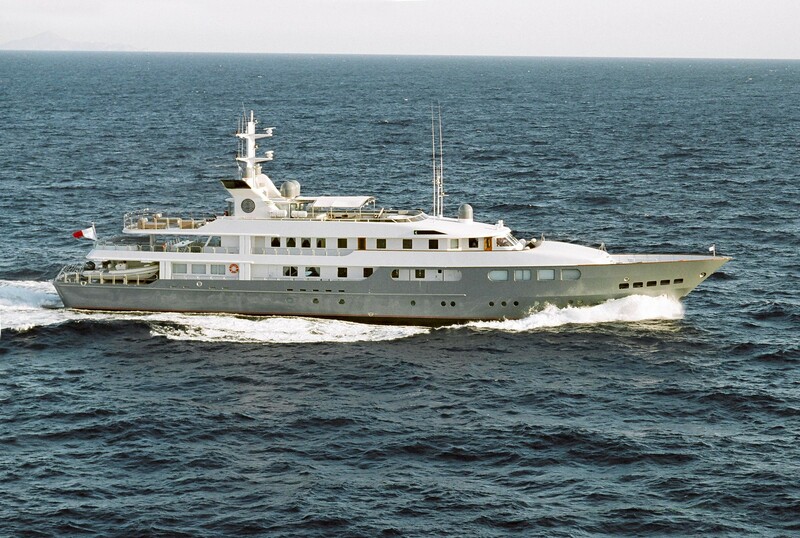 MAGNA GRECIA was previously called October Rose, Libertad, Secura, and Puka Puka. 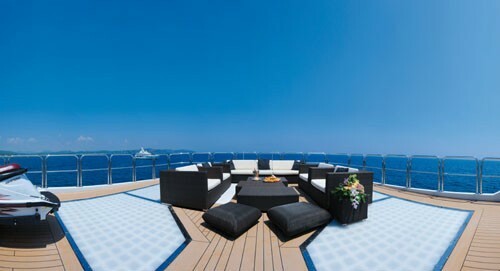 The lower deck offers an extensive swim platform for relaxation beside the water. 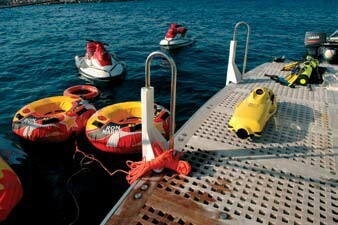 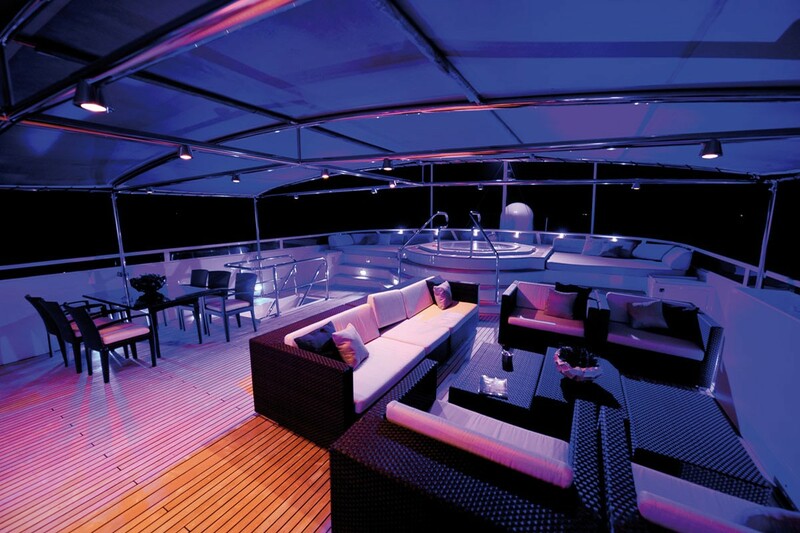 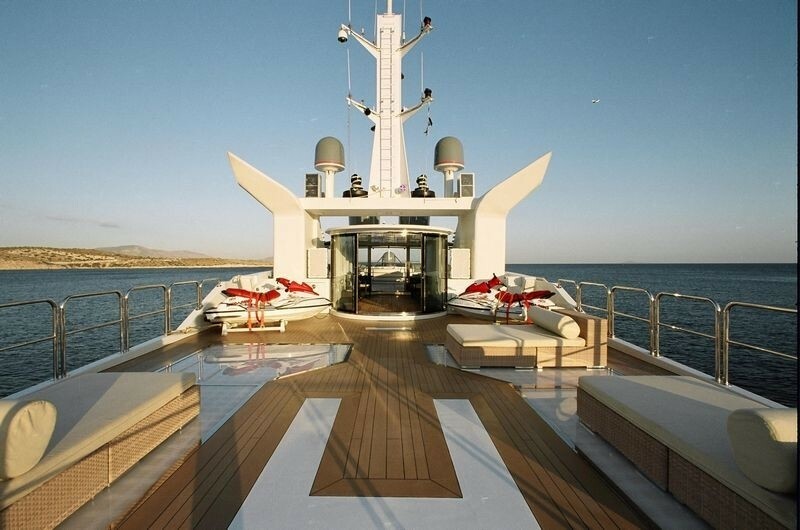 The main deck aft can be used for observation along the stern, as well as for storing the tenders. 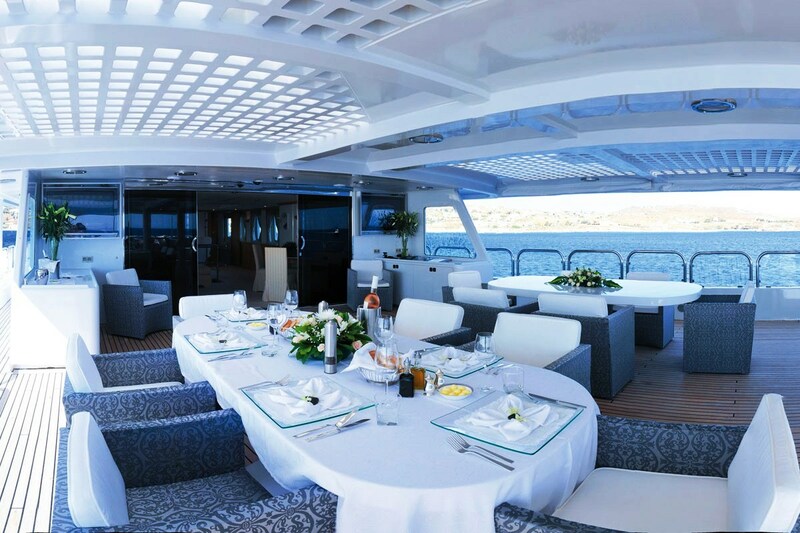 Staircases lead to the upper deck aft, which has a plush sofa with a raised table and a sunbed fitted into the starboard and port corners respectively, and beneath the sundeck overhang there is an alfresco dining setting to seat all guests to a magnificent and memorable outdoor meal. 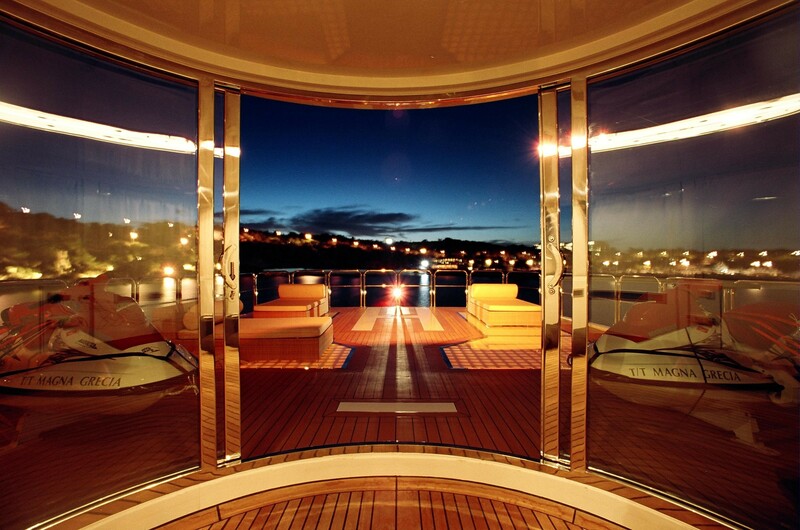 TVs integrated either side of the glass sliding doors into the upper deck salon will provide video entertainment. 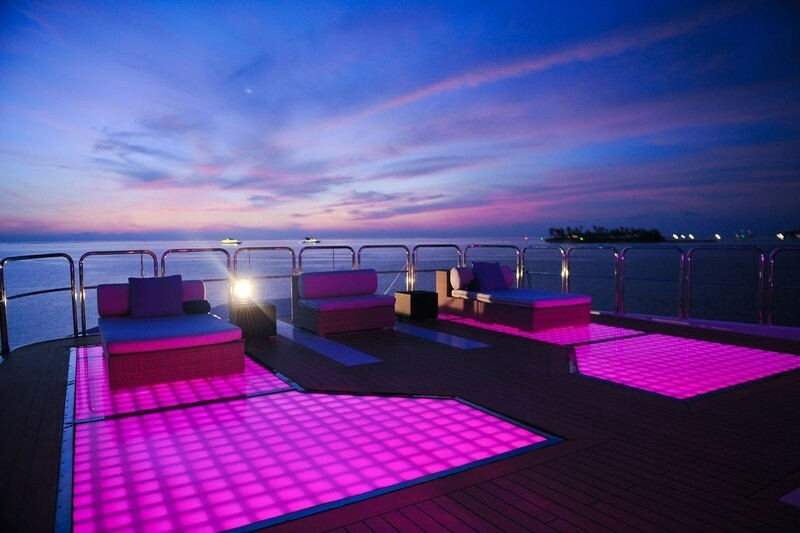 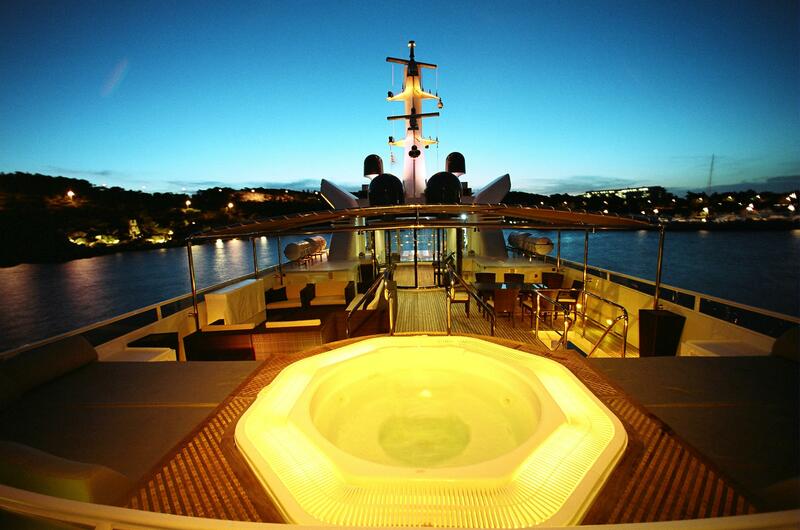 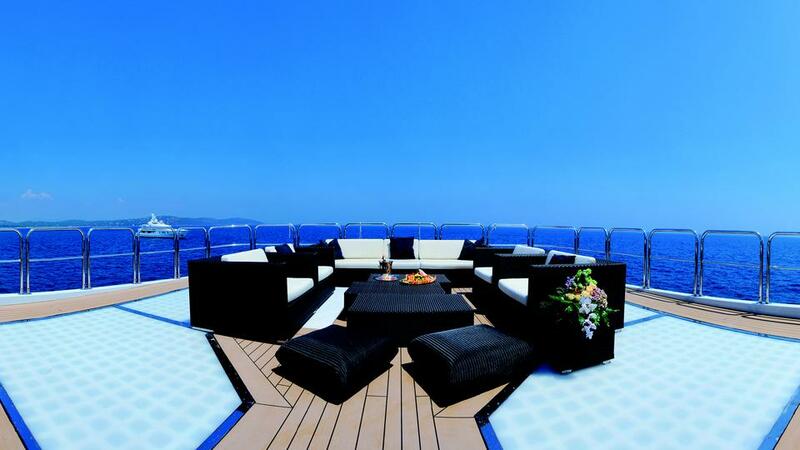 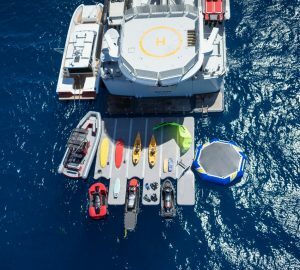 The sundeck is designed for massive parties and the helipad to the aft can be converted to a sunbathing area laid out with sunpads, or a light-up dancefloor. 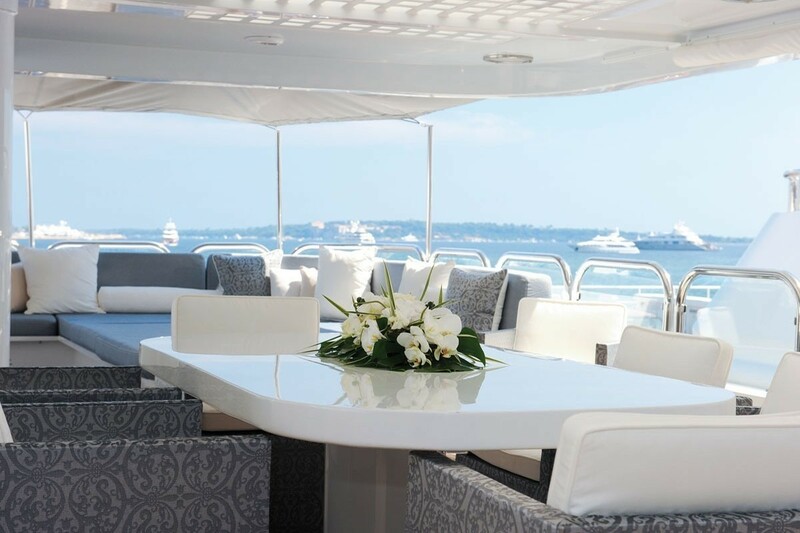 Forward of the sundeck gym, the outdoor space has an intimate alfresco dining area to port and a lounge to starboard with a pop-up widescreen TV. 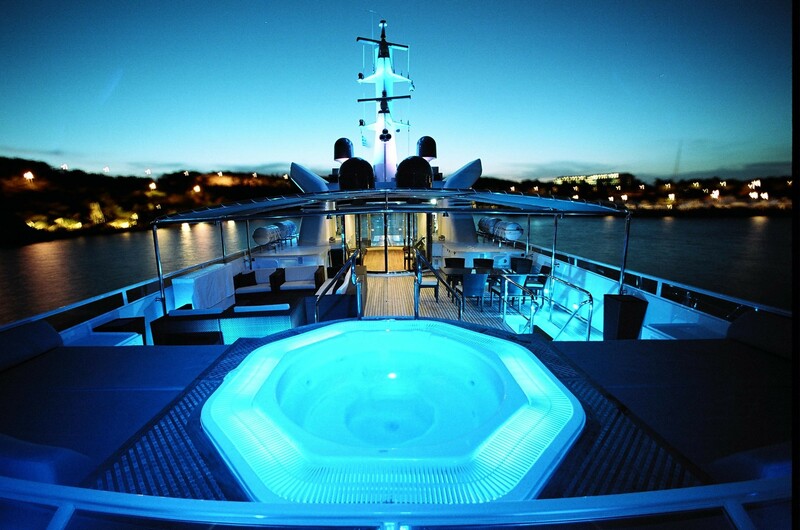 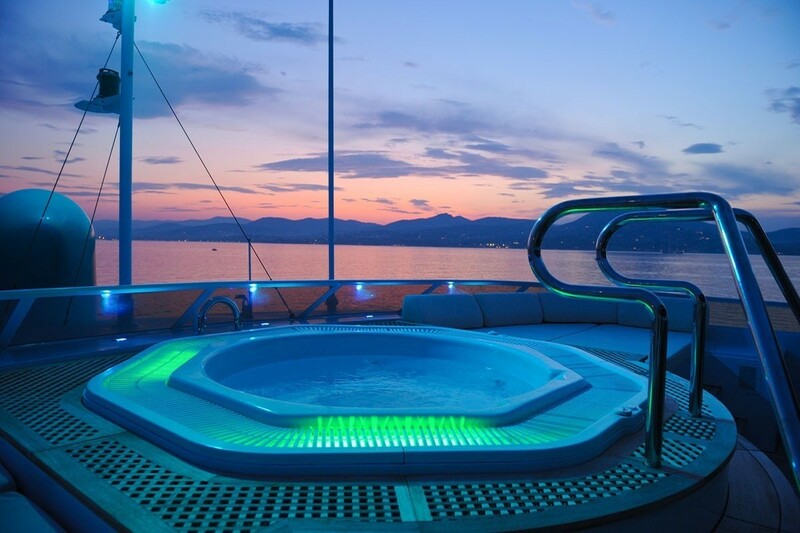 The forward section has a generous Jacuzzi with lighting surrounded on both sides by broad sunpads for the group to dry off and rest in the sunshine or under the stars. 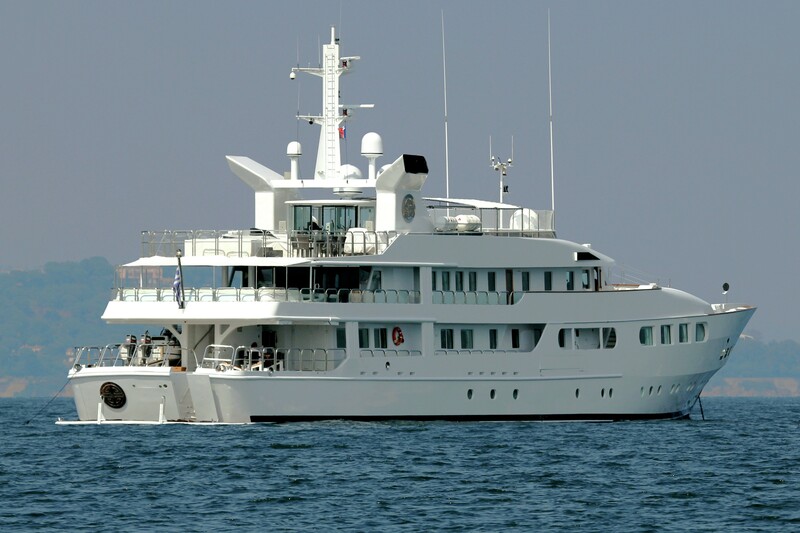 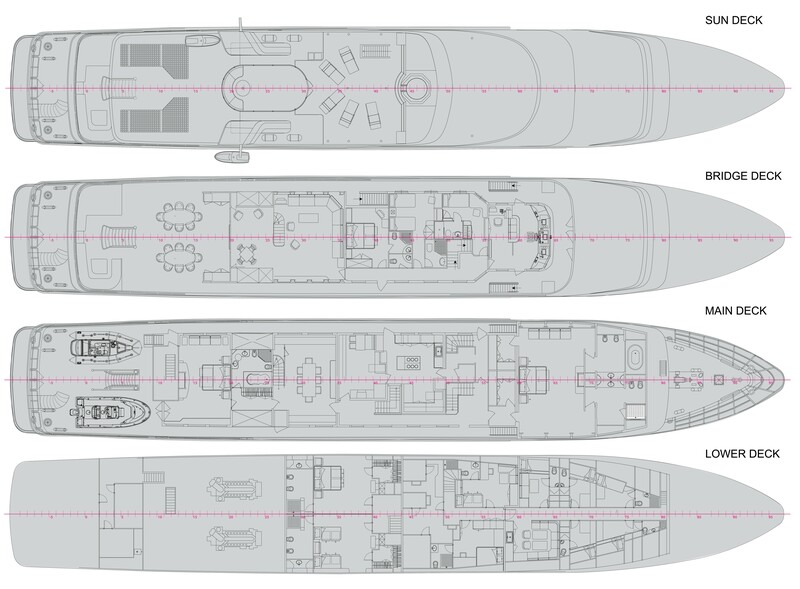 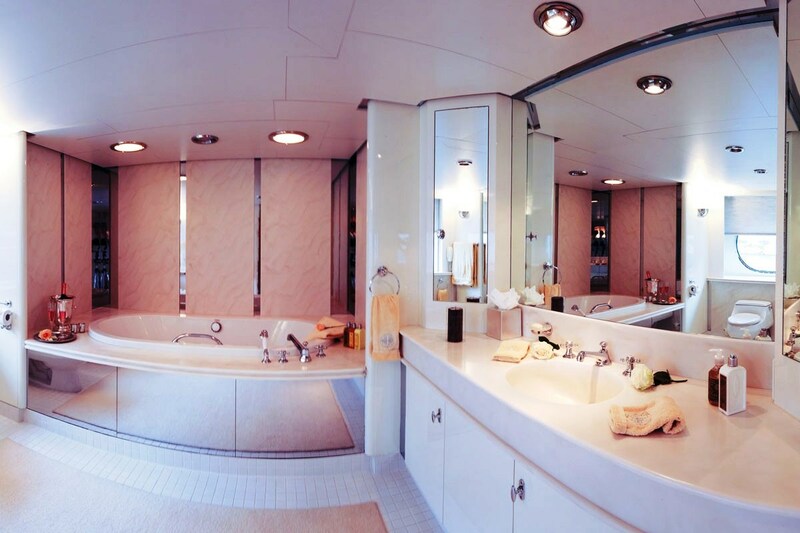 The lower deck layout places the crew accommodation, mess and facilities in the bow and forward section, with a double and twin guest cabin amidships and the engines to the aft. 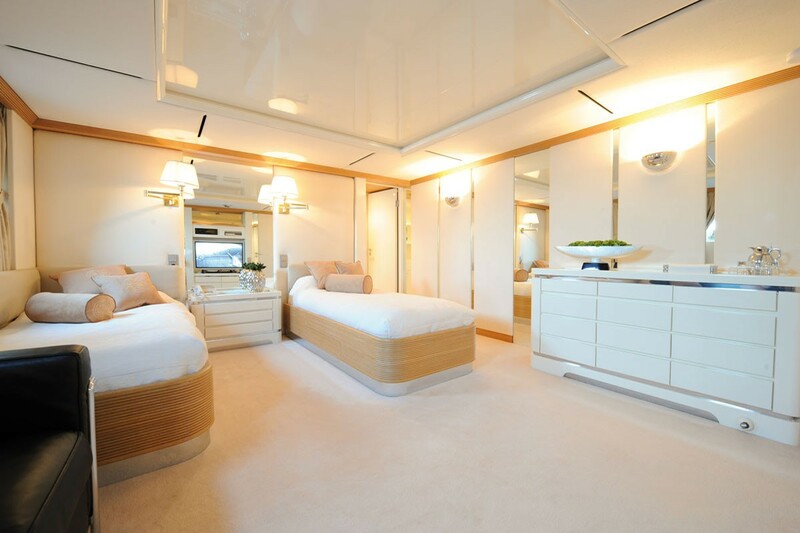 On the main deck, the Master suite is placed forward with the area amidships dedicated to the galley and pantry. 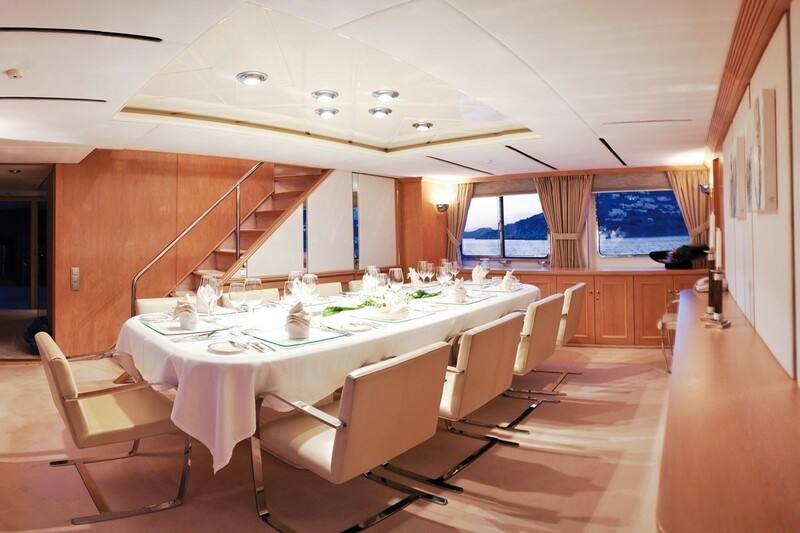 The formal dining room is immediately aft and serves up to 12 guests in beautiful contemporary surroundings with excellent views of the destination through the port and starboard windows. 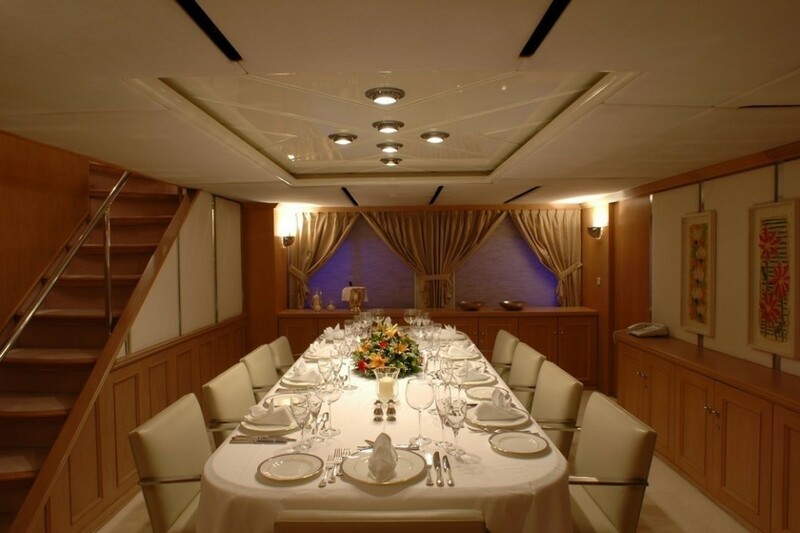 The VIP stateroom is immediately behind the formal dining room. 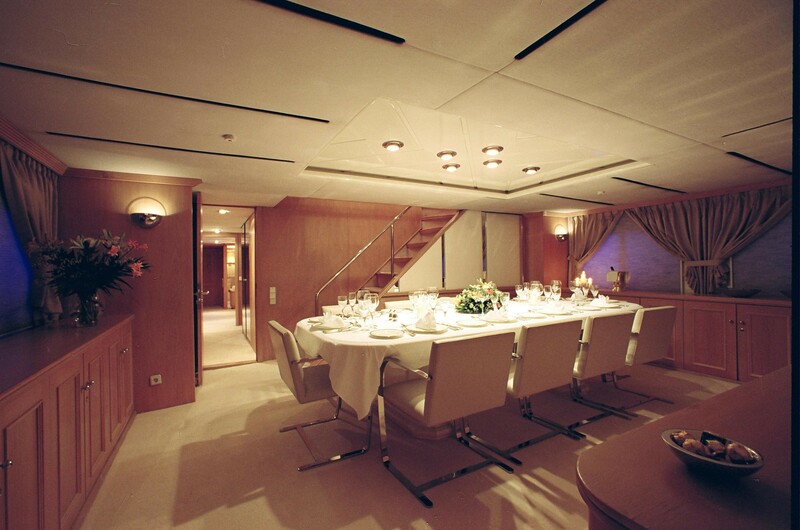 On the upper deck, the bridge is located forward with the Captain's cabin immediately behind, followed by one of the convertible twin cabins and one of the double cabins. 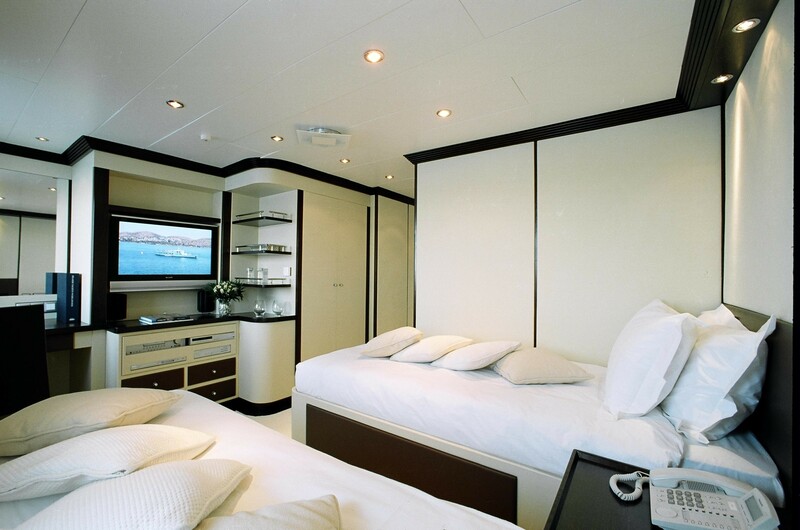 The aft area contains the skylounge, where plush sofa seating is placed around the forward and port edges of the room and a widescreen TV is placed upon the port wall. 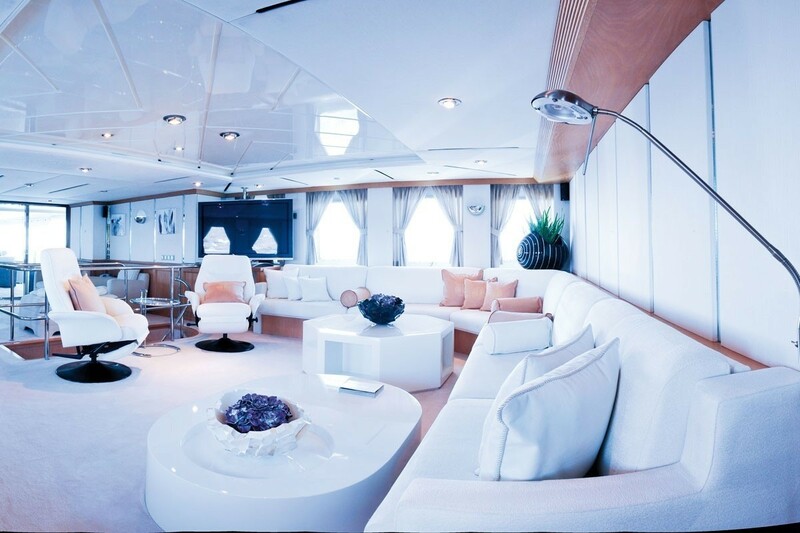 Armchairs and coffee tables further enclose the setting for a more intimate atmosphere. A second seating area is placed aft and port, opposite which there is a circular table surrounded by four chairs for drinks or games. 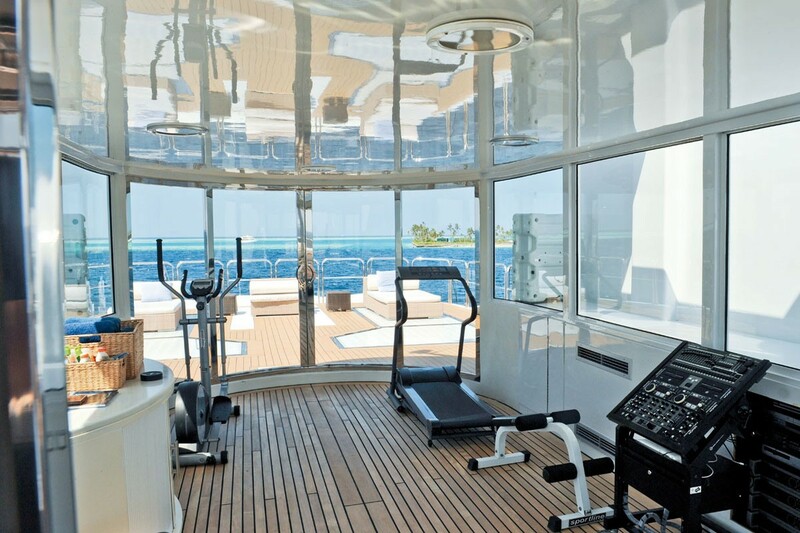 One final indoor guest space can be found on the sundeck, where the central area hosts a large fully-equipped gym with air conditioning and sweeping 180 views. 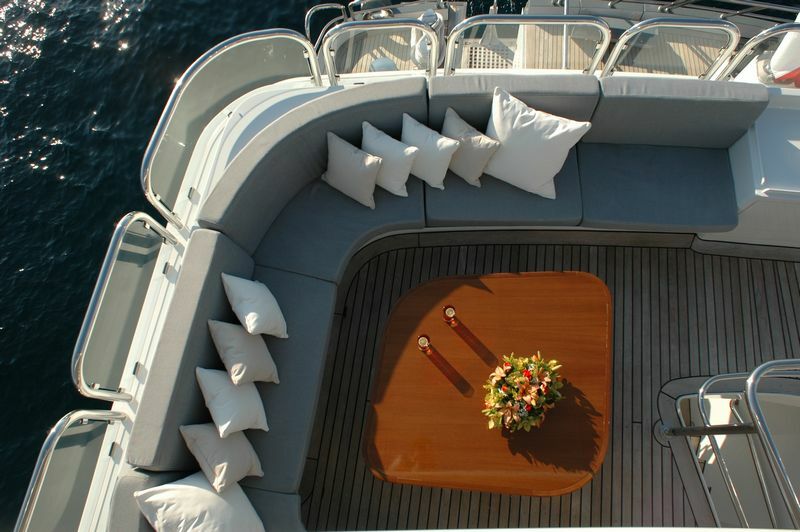 Twin Caterpillar 3516 D1 TA engines each producing 1,550 HP allow for a maximum speed of 15 knots and a cruising speed of 12.5 knots. The accommodation sleeps a maximum of 12 guests across 6 en-suite cabins: 1 Master suite, 1 VIP stateroom, 2 double cabins and 2 twin cabins convertible to doubles. 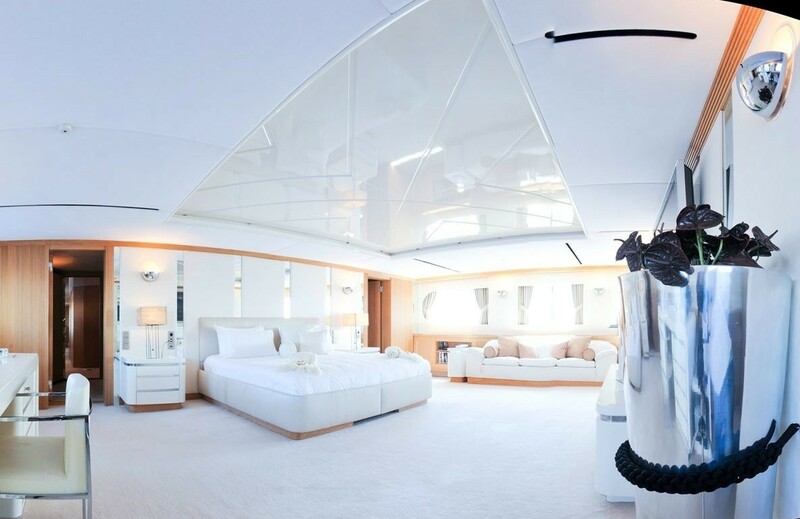 ~ The Master suite on the main deck forward makes use of the full beam for a spacious bedroom fitted with a king-sized bed, sofa, desk and two walk-in-wardrobes. 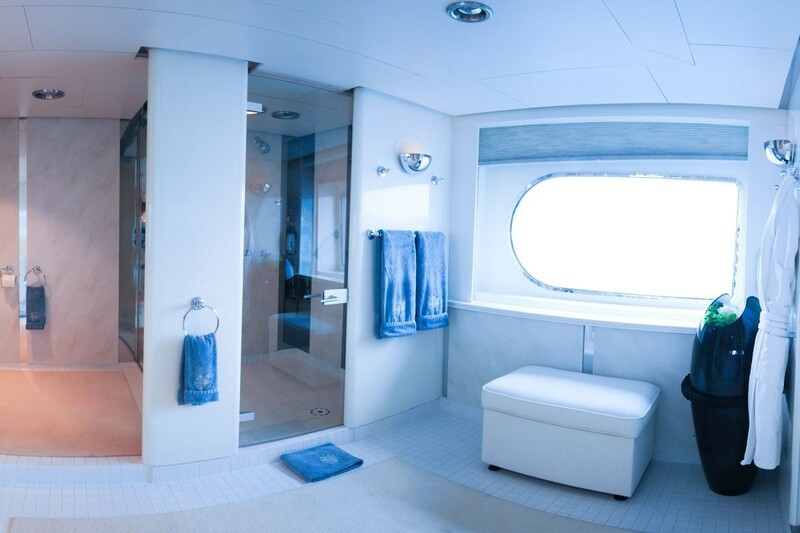 The forward his and hers bathrooms both have a toilet, bidet and sink, and the port bathroom has a spa pool while the starboard bathroom is fitted with a shower. 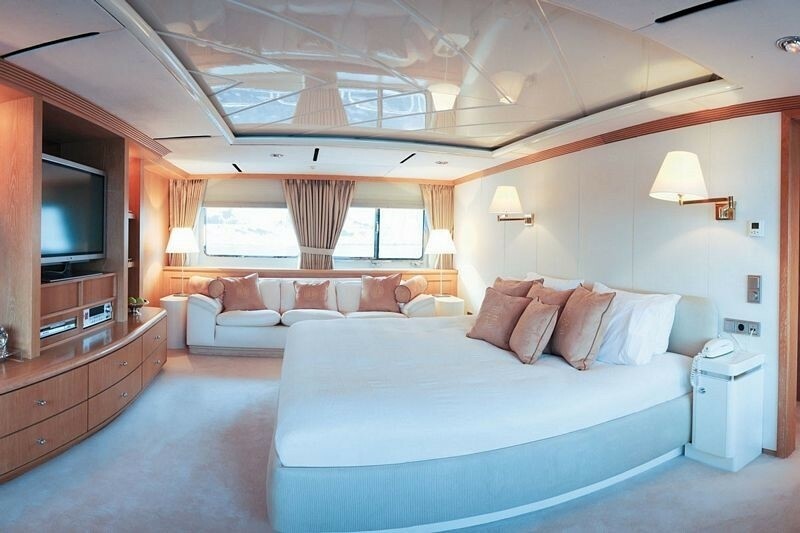 There is also a separate office laid out with luxurious Hermes furniture. 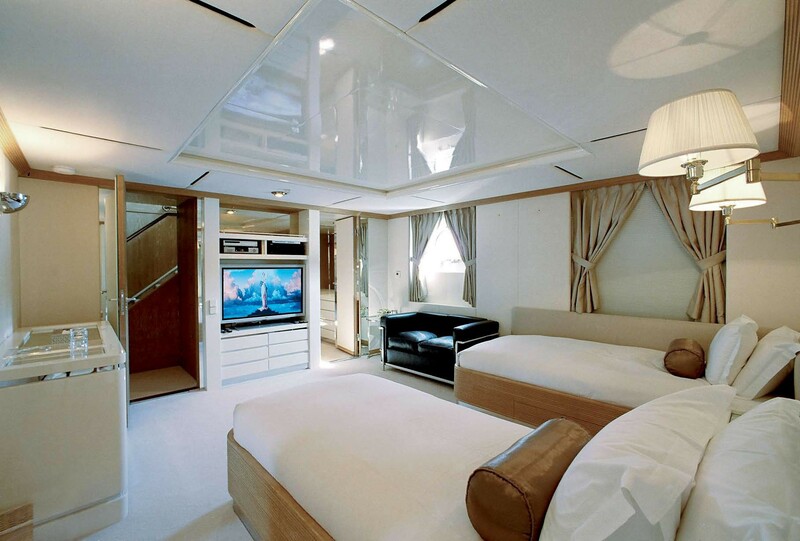 ~ The VIP stateroom is also on the main deck and is placed to the aft. 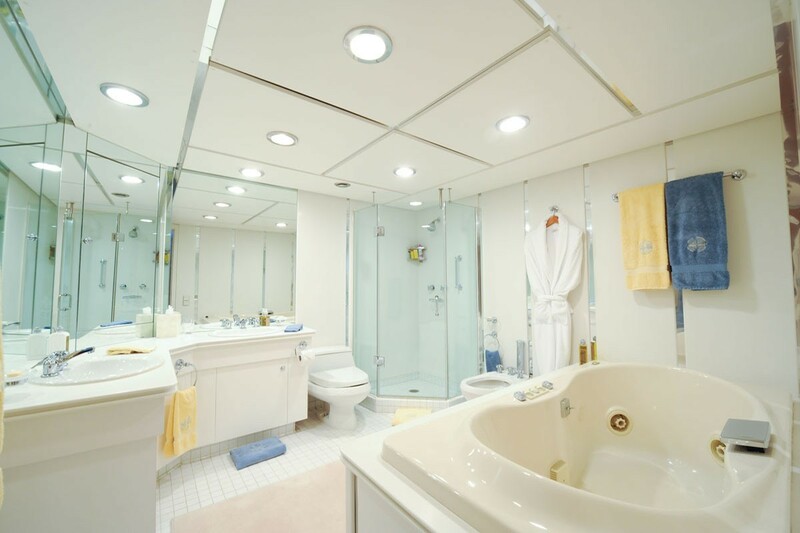 The interior is furnished with a queen-sized bed, a sofa and a large closet, and the en-suite bathroom forward has two sinks, a toilet, bidet, shower and spa tub. 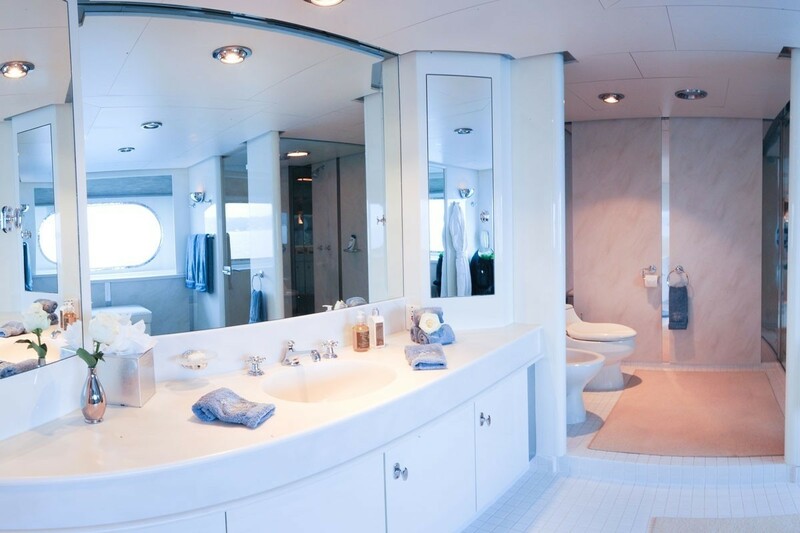 ~ One of the two double cabins is situated amidships on the upper deck, within which there is a double bed, a desk, closet and an en-suite bathroom with two sinks, a toilet, bidet and shower. 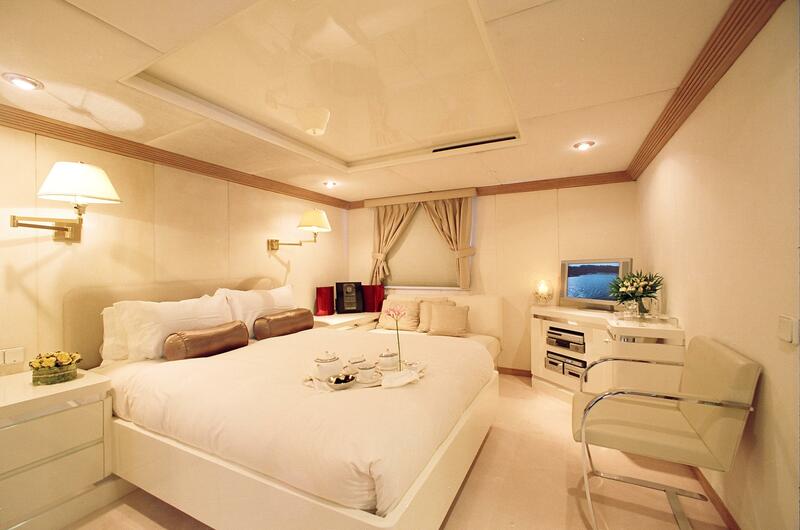 ~ One of the convertible twin cabins is also placed on the upper deck amidships to port. 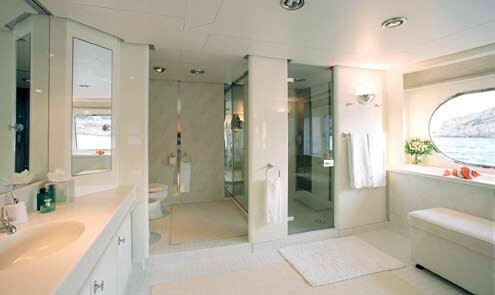 Inside, there is a desk and closet and an en-suite bathroom fitted with a toilet, sink and shower. 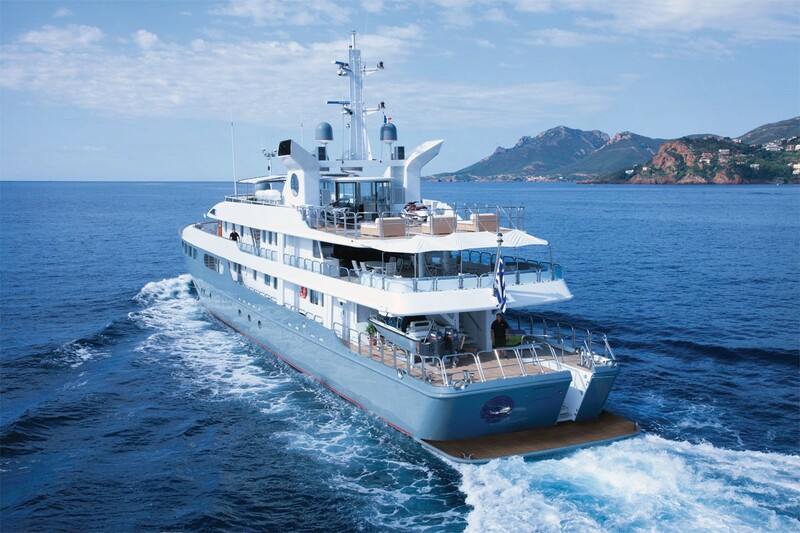 ~ The lower deck hosts the remainder of the guest accommodation with a double cabin aft to port and a convertible twin cabin aft to starboard. 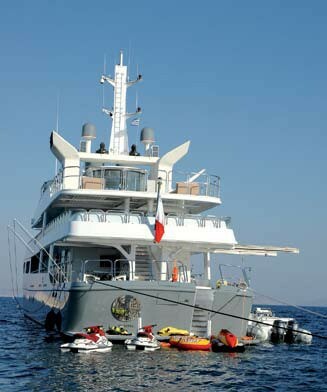 Both have a desk and a sizeable walk-in wardrobe, plus an aft bathroom with a toilet, bidet, sink and shower. 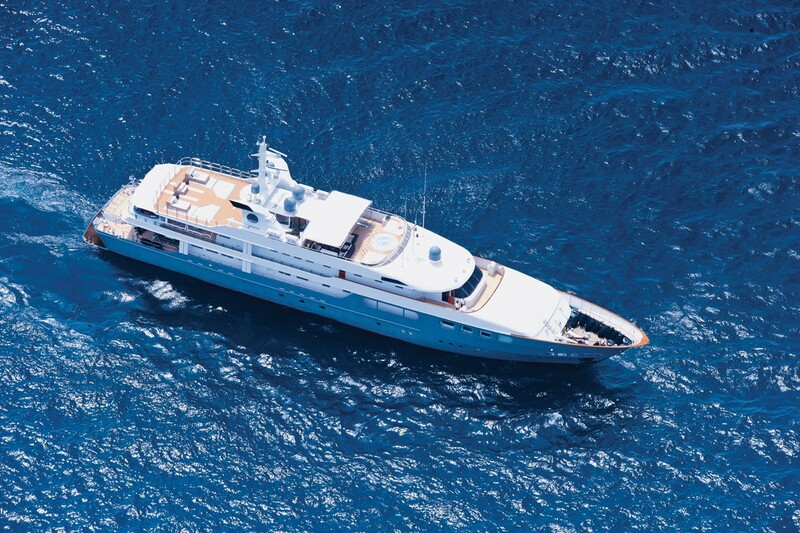 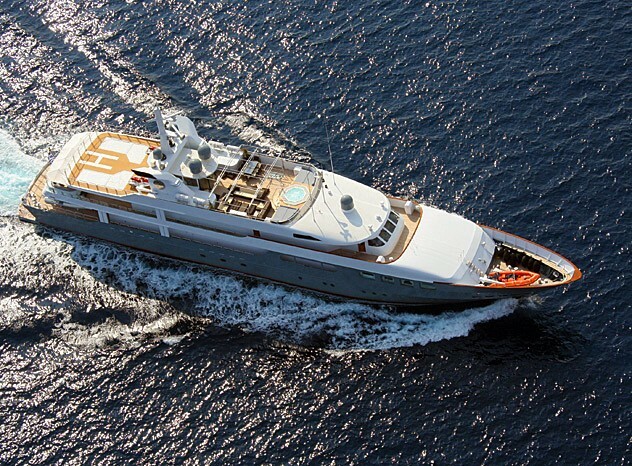 ~ The crew of 16 will ensure that every guest on board receives first-class service throughout every journey.